If a classroom restricts a kid from looking outside the window and daydreaming his fantasies and dreams, then all a kid needs to do is get outside the window, literally! Out on the ground with its friends and classmates, a child gets engaged in all sorts of physical activities. It interacts with others, form a deep bond with other friends and learn the techniques of interaction, communication skills, team spirit, self-discipline, and competition. Playing games outside on the ground also contribute to a child's cognitive, physical, emotional, mental and social development. 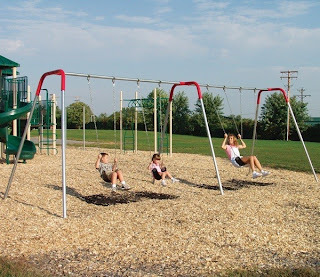 To achieve all these things from a tender age of childhood, many schools, parks and even houses have started to maintain an open ground or a backyard playground for their children. Setting up a children's playground, requires a proper planning. The foremost element to be concerned of is of the safety of children. A thorough examination of the playground equipment is to be made. Look out for sharp edges or if there is a possibility of children getting injured due to bad designing of the equipment. Also each equipment installed should withstand all weather conditions; be strong and durable; affordable and require low or no maintenance. Along with these equipment, children would love to have various other things in their playground. These can be sand with which they make sandcastles or different structures; fountains; vegetation including flowers, trees and bushes; park benches and shelters under which they can rest and relax. 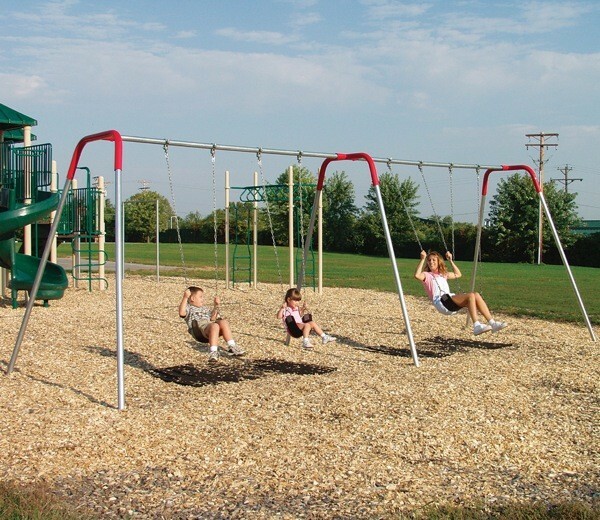 The above mentioned equipment and other elements will keep children engrossed in playing outdoors rather than spending time slouching on the sofa watching a TV or computer. The kids’ playground equipment is available in bright colors, designs and in various shapes to meet the needs of a school, park or a house. Keeping the plan and budget in mind, buy equipment and gift your child maximum enjoyment and a happy childhood.